I produced this story and video for Al Jazeera. The story was published on July 26, 2014. (See original version). Havana, Cuba – The guerrilla fighters who started the Cuban revolution 61 years ago have begun dying off. “Only 14 are left,” former rebel Alejandro Ferras told Al Jazeera. Fidel Castro and 160 other rebels carried out several attacks in eastern Cuba that launched the revolution on July 26, 1953. Ferras, 93, has spent nearly 40 years trying to preserve the memory of the ex-fighters by operating a private museum in their honour. On a recent afternoon, Ferras stood just inside the museum’s front door next to a wall of photos showing the men and women who took part in the July 26 attacks. F for fallecido – dead – marked many of the photos. “This one was gravely ill recently, this one died two months ago and this one [also] died two months ago,” he said, tapping various photos in the book. Ferras was one of about 135 fighters who joined Castro in the attack on the Moncada military barracks in Santiago de Cuba. Twenty-five fighters staged a second attack in the town of Bayamo. Castro was trying to topple Fulgencio Batista, a dictator who had seized power in a coup in 1952. The rebels killed 19 policemen and soldiers in the attacks. Government forces killed nine rebels. They also captured and executed about 50 others. Nine civilians were also killed. Young people, especially, need to know about the men and women who started the revolution. The attacks were a military defeat for Castro, but he managed to turn them into a political victory. As a result of the attack, Castro was captured. But at his trial, he denounced poverty and corruption in Cuba and outlined his plans to boost prosperity and social justice. Support for the revolution grew, Castro was released from jail and by 1959 he and his followers had forced Batista from power. Ferras said he started his museum because he “didn’t want to let Moncada die”. “Young people, especially, need to know about the men and women who started the revolution,” he added. 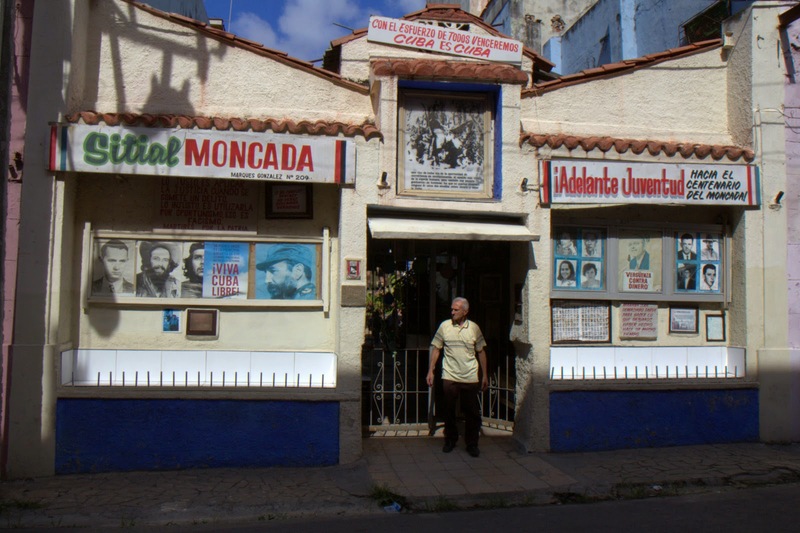 His museum, named the Moncada Seat of Honour, is located along Marques Gonzalez Street in Centro Habana, a municipality in Havana. A building that once stood on the site collapsed in the 1970s and workers knocked down the walls. Alejandro Ferras’ brothers, Armelio and Antonio, enlisted the help of neighbourhood children and others to clear the space, removing 40 truckloads of rubble. 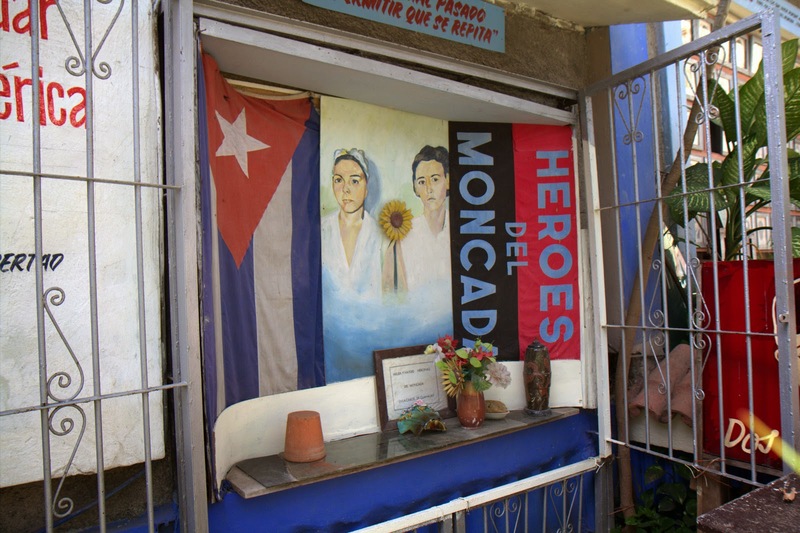 Soon they had created the museum, an open-air tribute containing photos, letters, certificates, slogans, and murals. Ferras nodded towards several children who were waiting for a birthday party to begin – his museum doubles as a neighbourhood spot for parties, dances, and meetings. The younger generation, he said, will have to fight to maintain Cuba’s independence in the future. But nowadays, many young Cubans would rather leave the country, said Leonardo Fernandez, a third-year history student at the University of Havana. Many people “are losing hope, day by day”, he told Al Jazeera. Cuban officials in June said they expected only a meagre 1.4 percent economic growth for 2014 – below their earlier predictions. They blamed adverse weather conditions, a lack of foreign income and “internal insufficiencies that our economy continues to confront”, according to an article from the state-run newspaper Granma. President Raul Castro, in 2010, introduced the first in a series of reforms aimed at boosting the ailing economy. Since then, officials have eased the sale of cars between Cuban citizens, legalised the sale of new cars, and, for the first time since the revolution, people can buy and sell their homes. The government also has cut more than 600,000 government jobs. And the number of non-government workers has doubled to more than a million. Even so, many Cubans say they have seen little improvement. “Cuba right now, I see little has changed. Instead it’s the same,” said Jesus Alain, a Havana rapper who goes by “Gladiator of Cuba”. “Historically in Cuba on July 26, Fidel Castro would give a speech to the nation where he’d usually announce important things. It was like …the State of the Union address for Cubans. That doesn’t happen any more,” Cuban professor Harold Cardenas told Al Jazeera. Raul Castro in recent years has delegated the nationwide July 26 speech to one of his underlings. “The charismatic leadership of Fidel has been replaced by Raul’s style of working. It’s not better or worse, it’s just different and we have to adapt to that,” Cardenas said. No matter, Ferras remains loyal to the Castro brothers. Cuban leaders have made “two or three mistakes”, he said, “but we’re advancing”. As he sees it, the revolution won’t be done until all of Latin America is “liberated”. That may not happen until 2053 – a century after the Moncada attack, he said. Ferras knows he won’t be around by then, but said he plans to continue adding to his museum as long as he’s alive. “I don’t have much time left,” said Ferras, whose younger brothers died in 2005. He turns 94 in December and said he doesn’t expect to be the last “Moncadista” standing. But, when there is only one former fighter left, Ferras said he has asked that a tribute to that person be held at the museum. After Ferras dies, he said he wants his ashes to be stored at the museum. He has asked the Association of Combatants of the Cuban Revolution to run the museum after he’s dead. The 19-year-old group claims more than 330,000 members and was founded to raise awareness about Cuba’s revolutionary struggles. For now, though, he said he feels healthy. He said he plans to continue tending to his museum and hopes to write a book about it. “I’m not finished,” he said.